Hi everyone! I'm back! How are you all? After spending 6 days in Cambodia and 3 days in Redang and 1 day in Kuala Terengganu, I was longing to return to my home sweet home. I had an awesome time in Cambodia and in Redang as well. But I will not be blogging about this trip yet as I have decided to complete all my China posts first. But here are just some photos I took from my Cambodia trip. 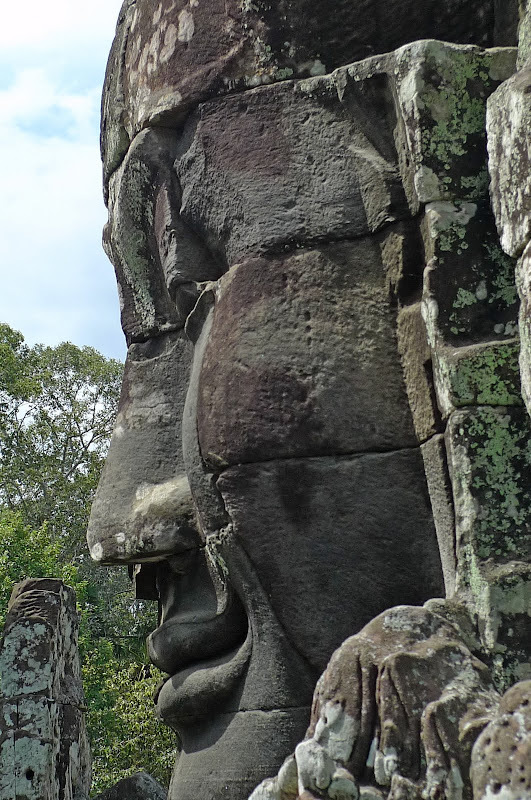 Giant face sculpture at Bayon Temple. 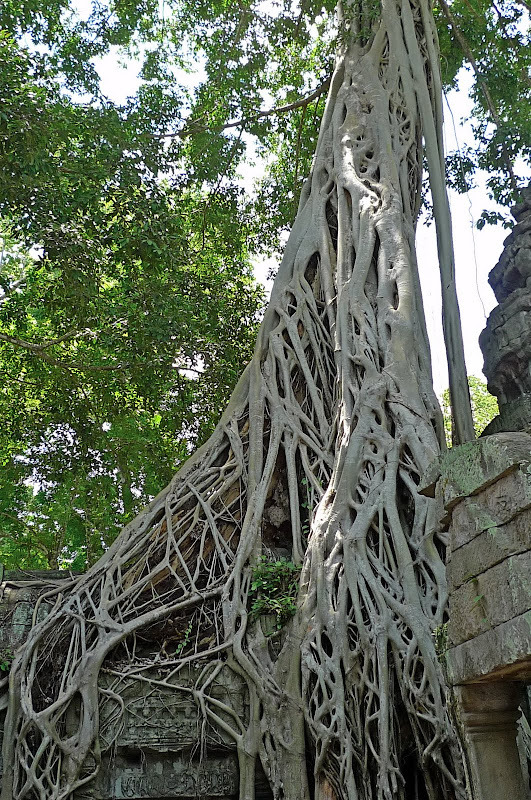 The trees growing out of the ruins at Ta Prohm Temple, the location of Tomb Raider, the Hollywood movie starring Angelina Jolie. 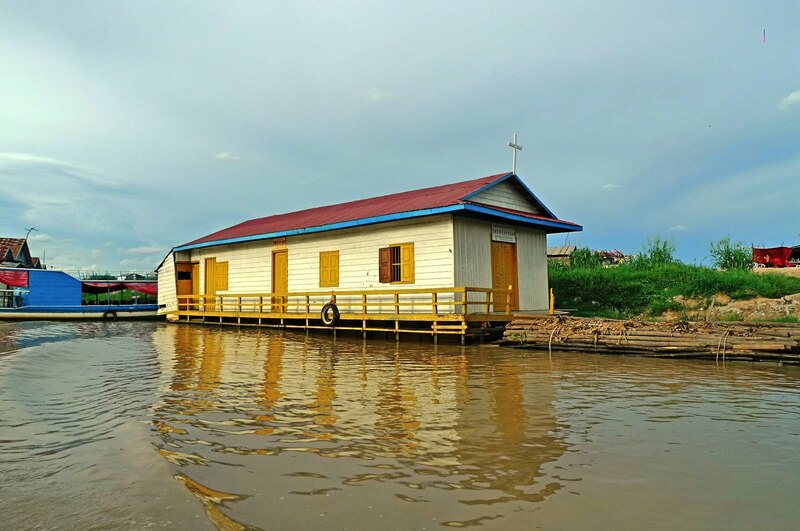 Floating Catholic Church in Floating Village at Tonle Sap Lake. 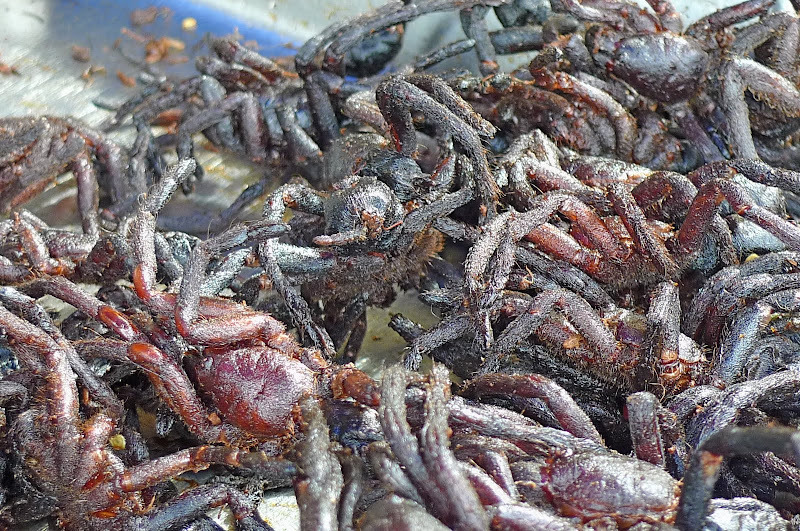 Spiders as big as your fist for snacking at Kampung Thom. 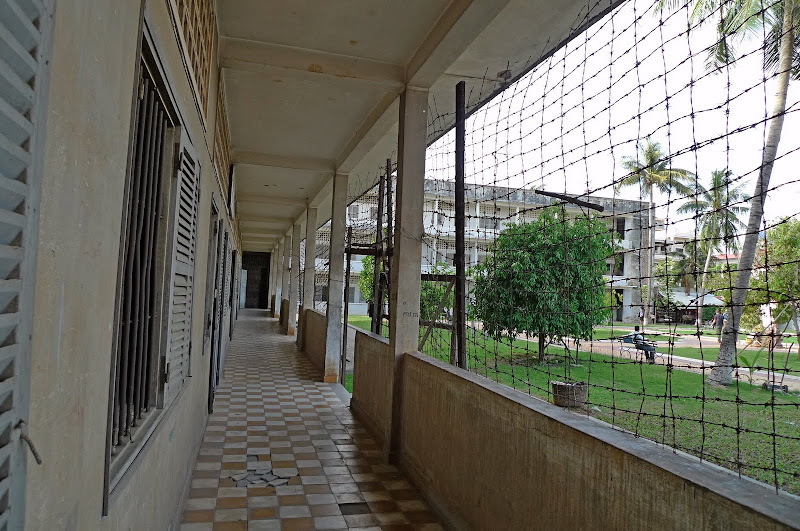 The eerie Tuol Sleng (aka S-21) Genocide Museum at Phnom Penh which left a deep impact on me. Many unexpected events happened during my trip in Cambodia and I have so many stories and photos to share! But they will have to wait until I finish blogging about my China trip last year. There will be 3 winners in the Lucky Draw Contest which closes at 11pm sharp on 10th August 2010. All prizes will be revealed in the next post, so stay tuned! welcome back, home sweet home!! aiyah, so anxiously waiting for you to announce the winners for the commenting contest lah..
wow, you are very generous!! 3 winners and also another 3 lucky draw winners?? the photos #5 till #8 are all in Phnom Penh?? cos looks so new to me as i didn't go Phnom Penh during my visit to Cambodia..
wow so nice!! first time see floating church! the spiders YUCKS!! euw!! scary too!! Wow..very nice photos you took in Cambodia. The spiders really eerie..... Did you try? The trees and the roots are very interesting!! Nice temples too!! But Cambodia doesn't seem to be a place I'd wanna go... hmm..
welcome back from a wonderful trip! Did you snack on those spiders? Urrgh....no thanks. Wow....so altogether you spent 10 days on vacation. War...you have a good job bro. How many days of off every year? But we can't see the carving bro. Did you managed to capture the closer, intricate look? The tree roots are really amazing. :D In a way it is mysterious. Wow...they eat spiders at Combodia? Poor spider. Makes me wonder what else they eat at there. Just don reply my FB invitasi la Foong! Am I entered into the lucky draw or not? he he... if yes, I hope I win! Woot! Back to back vakasi la some ppl, wow...enuff edi vaklasis this year, wait for next year for ur next one okay? Ha ha! ooops vakasis.... not vaklasis LMAO! I like the photo of the corridor. SK, congrats! First time you are FC here! Haha! Actually I didn't buy a lot of souvenirs this time, so sme of the prizes would have nothing to do with my Cambodia trip. Photo #5 were taken at Tonle Sap Lake between Siem Reap and Phnom Penh. 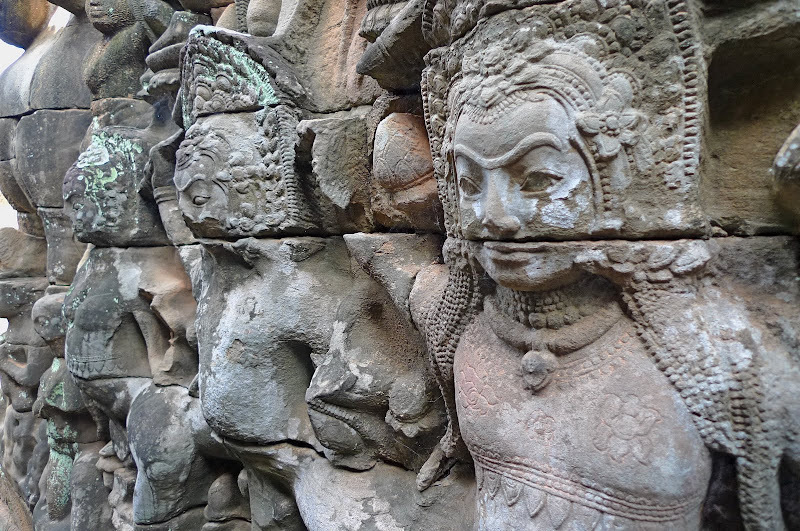 Photo #6 were taken at Artisans d'Angkor in Siem Reap. Photos #7 (spiders) were taken along the journey from Siem Reap to Phnom Penh. 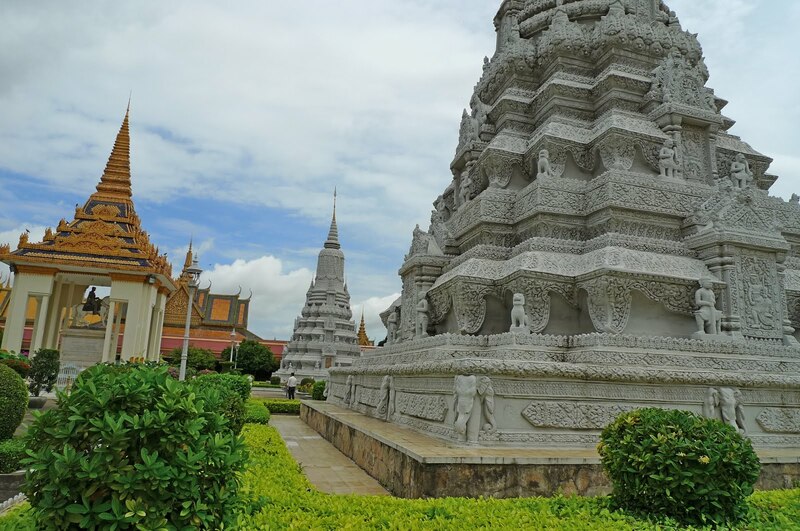 And photos #8 and #9 were taken in Phnom Penh. merryn, haha! Better luck at chopping next time! happysurfer, haha. 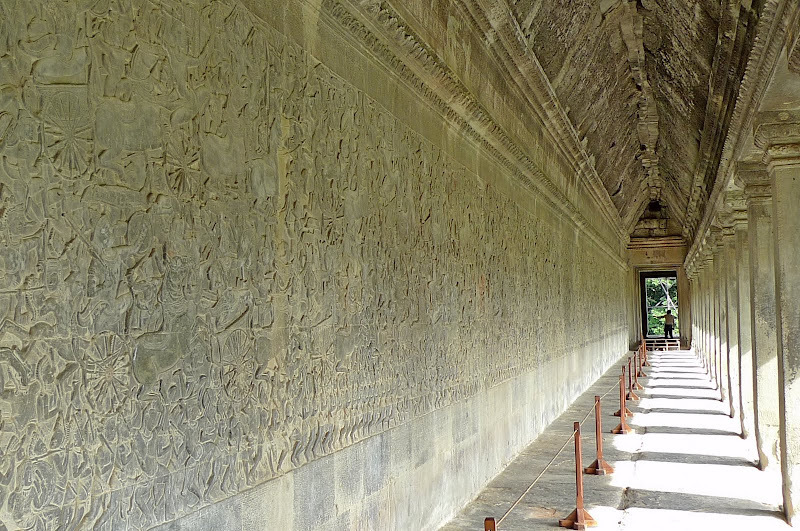 Will reveal about the unexpected events when I blog about my Cambodia trip soon. Sorry you have to wait for all my China posts to end as I do not want to delay them any longer. My China trip was one year ago! LOL! reanaclaire, thanks! What eerie happenings? LOL! taufulou, the spiders like Resident Evil? LOL!! mei teng, no I could not eat those spiders - I would puke! Haha! 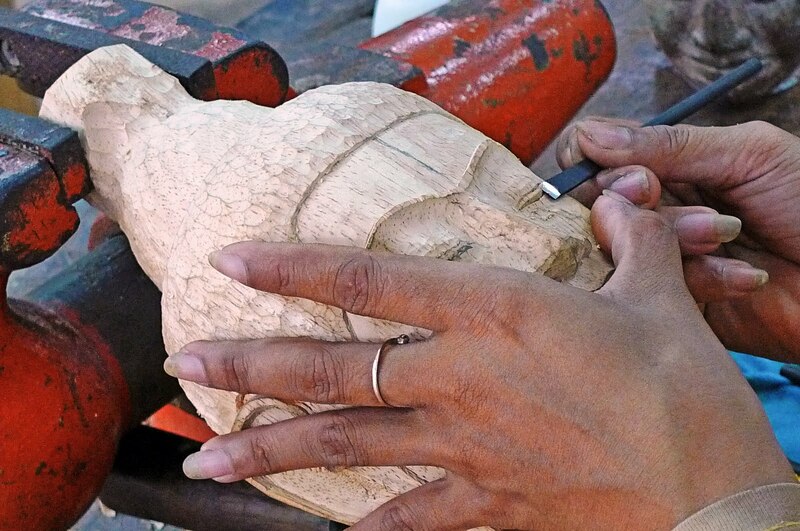 tekkaus, more details of the sculptures and carvings in my future posts. The genocide in Cambodia was horrible. Will post more about this incident in future post. Yes, you will be entered into the Lucky Draw. Good Luck! lina, long holiday? Actually your holiday in Japan also very long! Haha! You like the photo of the eerie corridor? I got goose bumps when I was there! Oh, you went to Redang right after returning from Cambodia? yucks! the spiders...did u try? nice pictures and I went to all those places too! I guess all these tourists spots are a must in Siem Reap. nice hor? hope u enjoy ur cambodia trip ....i miss cambodia...cheap place and very nice place to travel indeed. Have a nice day Foongpc! Welcome back and will be hearing & seeing lots of good bad and ugly with ghostly stories in your future post. Found any interesting treasures that Jolie missed? Eeee fried spiders!!! pass pass pass.. I sure hope history would not repeat itself and such event would never ever happen anywhere in the future. I'm glad you did visit it at least once and experience it for yourself. The word 'freedom' has been given a new life and has never mean this much to you only after you've visited it, right? Overpriced. Plan your own trip it will cost you at least a $1,000 less and you go where you want to go and do what you want to do. Tour agents over here will take you to the places you want to visit cheaper than organized tour. Welcome back to your home sweet home. Thanks for the post and the nice photos. Such a beautiful presentation! We also adopted from Cambodia. :) Also, beautiful song! Paintings, carvings and temple are masterpices. Very nice piece..